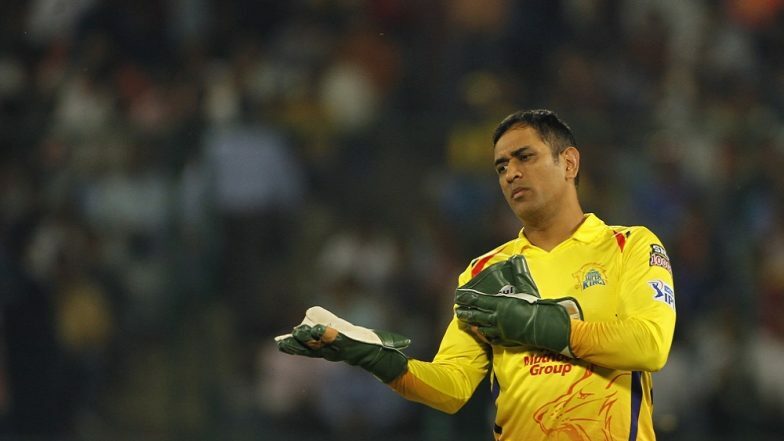 In one of the rare moments in cricketing history, Mahendra Singh Dhoni, who is known for maintaining the best temperament in the game, lost his cool during the last over of the Chennai Super Kings (CSK) vs Rajasthan Royals (RR) clash on Thursday. The 'Captain Cool', as the former Indian captain is popularly called, was visibly angry after the umpire revoked the no ball call on the fourth delivery of the final over. Full Scorecard of CSK vs RR. Chasing a total of 152, CSK required 8 runs off 3 balls when Dhoni departed. On the fourth ball, when Mitchell Santner was on the strike, the umpire partially raised his hand to signal no ball. However, after the delivery was completed, the umpire said it was a legal delivery. This evoked a sharp reaction from not only the two CST batsmen on the pitch, but also their skipper who had just returned to the stands. A furious Dhoni walked back into the ground to argue with the two on-field umpires. Despite his strong disapproval, the umpires were vehement on not changing their decision. After the mid-over drama, the match resumed with CSK stealing a last-ball victory against the Royals. With 4 required off the last ball, Stokes delivered a wide, followed by a full-length delivery whacked out of the ground by Santers. With this victory, the Super Kings have consolidated their position on top of the IPL 2019 points table. The CSK has now won 6 out of 7 games, taking the lead position with 12 points. This is also the 100th win for MS Dhoni as captain in the Indian Premier League.